Graham Cooper was a typical teenager, shuffling through high school vo-tech courses, when he learned of underwater welding as a career. He went to diving school, became a certified diver, then looked up a contractor near his hometown who did this sort of work. Don Dryden of Dryden Diving Company, Inc. hired him and pointed him to the underwater welding apprenticeship program of the UBC. Dryden knew about the level of training Cooper would receive, including learning to be a great diver and a great mechanic, using real-time simulation dives in a 12,000 gallon, 15-foot diving tank at the apprenticeship school in northeast Philadelphia. Formalized training of diving mechanics is a fast-growing craft within the UBC. 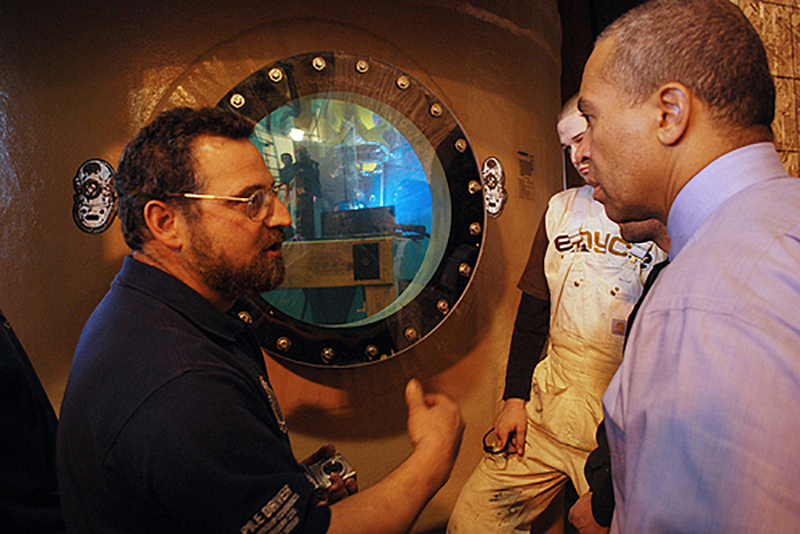 Dive tanks are established in the Philadelphia and Boston training centers. There, apprentices learn inside a wet environment, mimicking lighting, temperature, task-at-hand, and other job site conditions. Journeymen divers use the tanks to hone skills and prep for specific projects. The UBC International Training Fund took advantage of the new West Building’s training space to jump into a national commercial diver training program. Dominating a corner of the South Shop floor is a Commercial Diving Center, including a 12 foot, 16,000-gallon tank that stretches 15-feet in diameter, a monitoring and operations deck, and a closed-circuit television system, so that a diver’s work can be viewed outside of the tank. The value of commercial divers is heightened in direct ratio to the amount of training and experience a diver holds. UBC-trained commercial divers exhibit safe, smart technical characteristics and quickly and correctly complete the mechanical task. It’s a mix not found in many commercial divers, the consequences of which could wreak havoc on infrastructure, transportation, and manufacturing industries, not to mention loss of life to diver and crew. In Massachusetts, the UBC’s local Commercial Diver Journeyman Upgrade program took a $160,000 workforce development grant and parlayed it into more than $6.4 million worth of new jobs offshore in the gas and pipeline industry. As a result, Local 56 of the New England Regional Council of Carpenters has become the go-to organization for commercial divers in New England. 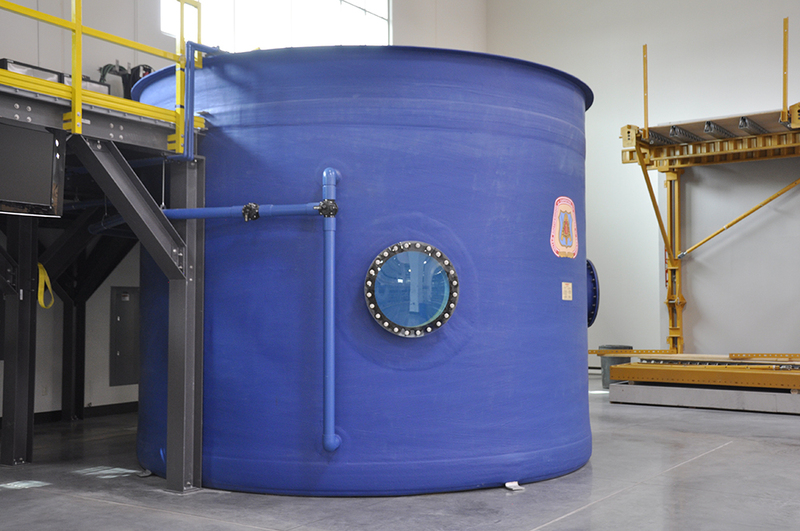 Part of the grant was used to build a 7,500-gallon underwater skills tank at the New England Carpenters Training Center in Millbury, which has since graduated 15 divers from the National Highway Institute’s Underwater Bridge Inspection course. “Our emphasis on state-of-the-art training has upped the ante for professionalism in the industry and has given outstanding manpower to our contractor partners,” said Dave Borrus, Business Agent of Local 56. In one instance in 2010, a power plant operator needed an underwater welder certified in stainless steel for an emergency repair where the spent reactor fuel rods were stored. New England dive instructors were able to test and certify three divers for the work within 24 hours. “It’s that kind of partnership that is invaluable for me as a contractor and our customer, to know that the UBC can step up and get my crews training on literally a moment’s notice,” Dryden said. 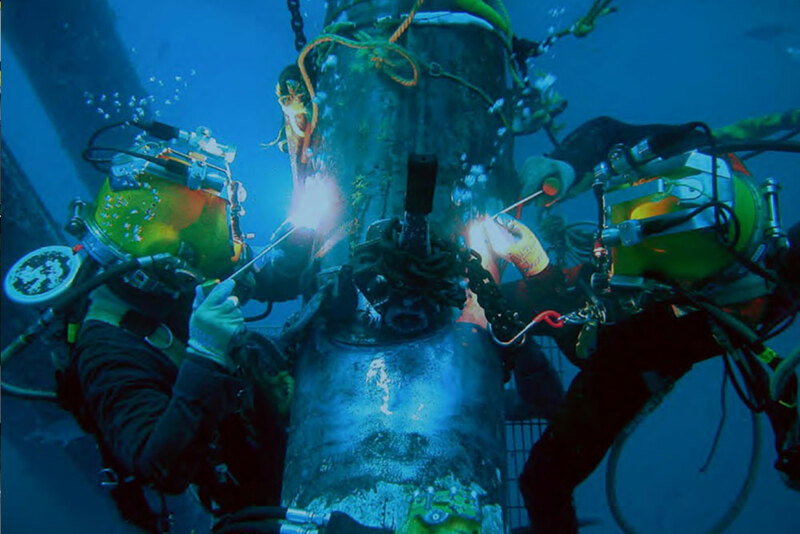 In addition to specialized training, some of the in-demand skills taught in UBC dive tanks include welding, waterfront construction techniques, pile repair, coating applications, non-destructive testing of subsurface structures and materials, and how to operate in a contaminated environment. Instructors stress safety at all times.